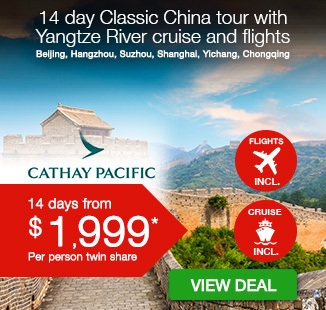 Including return Qantas flights, all accommodation, delicious daily breakfast, bullet train travel from Beijing to Suzhou, local English-speaking guides, all tipping and gratuities, and more. Travel to a land of postcard-worthy landmarks, rich and diverse cultures, and fascinating histories on this 10 day Classic China tour. This experience takes in some of China’s most enduring and recognisable sights. 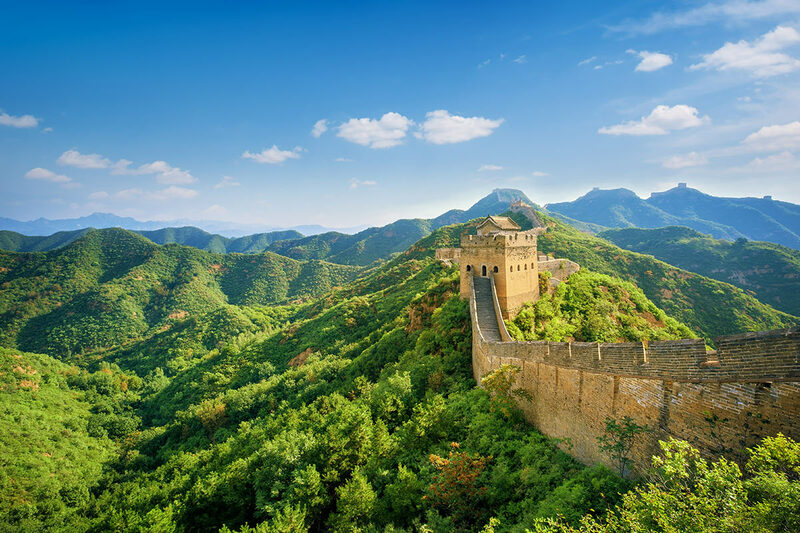 One of the first monuments to visit is perhaps the one that immediately comes to mind when thinking about this incredible country: the Great Wall of China. Only a short distance outside of Beijing is Juyong Pass and it is here you’ll learn more about this unrivalled old-world structure and even walk a section of this impressive monument. Another of China’s heavyweight sights you can expect to see on this tour is the epic Tiananmen Square. Be sure to take a moment upon your visit to this historically and culturally important site to truly appreciate its size. The Square is, after all, the second-largest of its kind in the world. Next on the itinerary is a bullet train ride to Suzhou. Your time in this canal-strewn city includes visits to the gorgeous Lingering Garden and then a working silk factory. 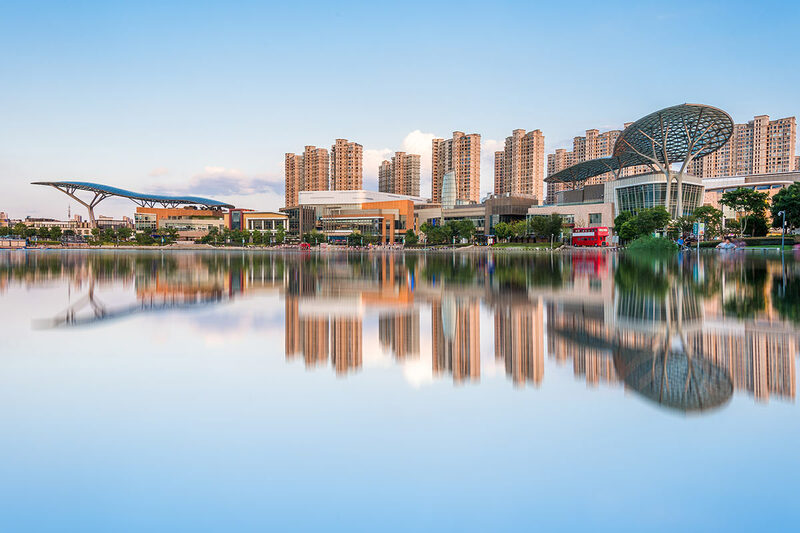 Wander through the heart of Wuxi with a stroll along Nanchang Street, and also visit the Brilliance of Lake Lihu. It is then onto Hangzhou, a favourite destination of Marco Polo. 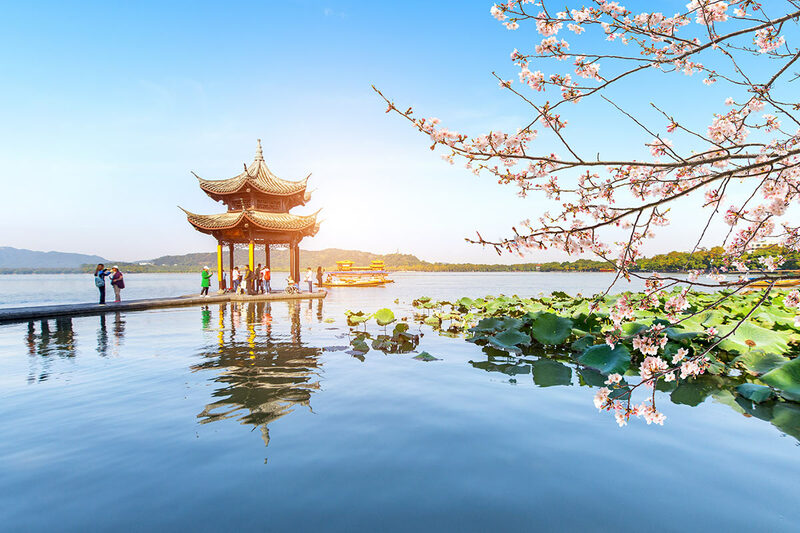 This city has served as inspiration for countless artists over the centuries, so be sure to have a fully-charged camera in order to capture Hangzhou in all of its photogenic glory, in particular at West Lake. 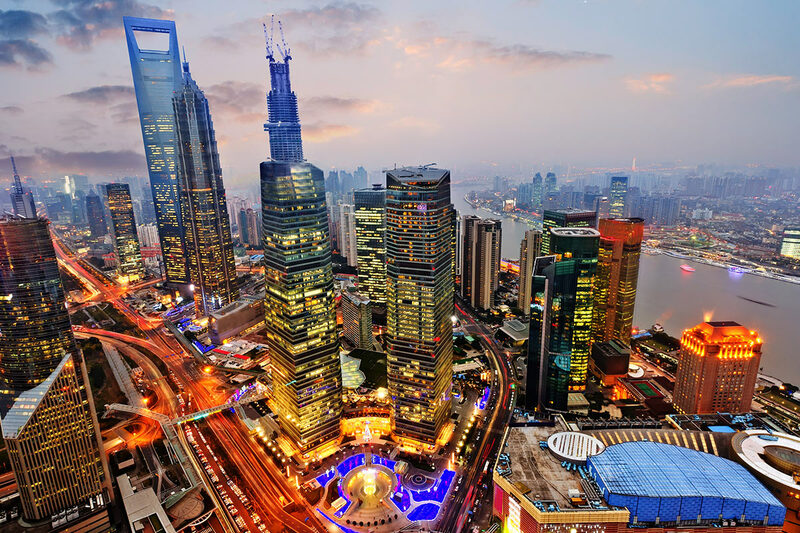 The final destination for your tour is Shanghai, the commercial epicentre of China. 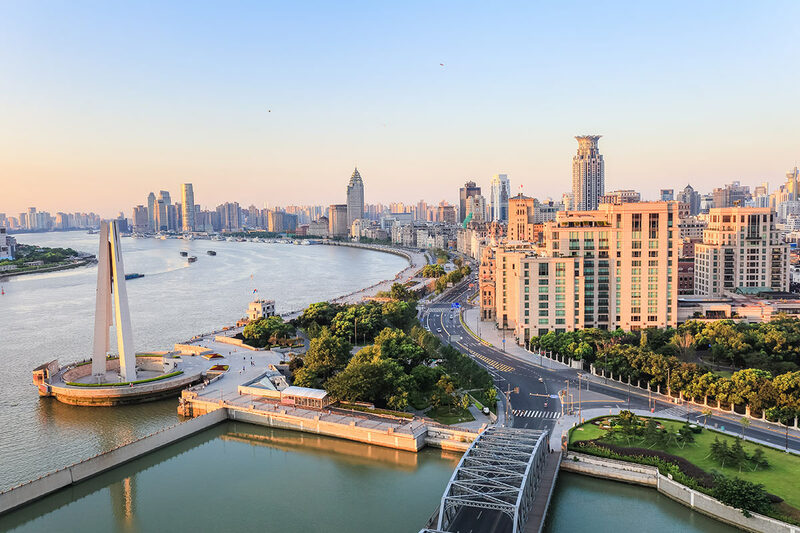 Take a walk along the waterfront Bund and take in the area’s diverse range of European-influenced and colonial architecture. 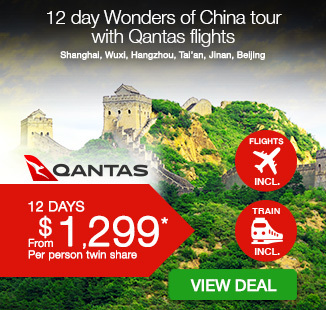 Board your Qantas flight to China and arrive in Beijing, the sprawling Chinese capital city. You will be met and transferred to the hotel. Your first full day in China begins with what is sure to be a highlight of your trip: the Great Wall of China. The group heads to Juyong Pass, located just outside of Beijing. This is one of the most visited sections of the Great Wall and is where you will have the opportunity to learn about the wall’s construction and even walk along a section of this ancient marvel. Enroute back to Beijing, we stop at one of the largest jade exhibitions in Asia. Then, after lunch, see skilled artisans at work at a Cloisonné Factory. Hop into the back of a rickshaw to explore these Beijing neighbourhoods. 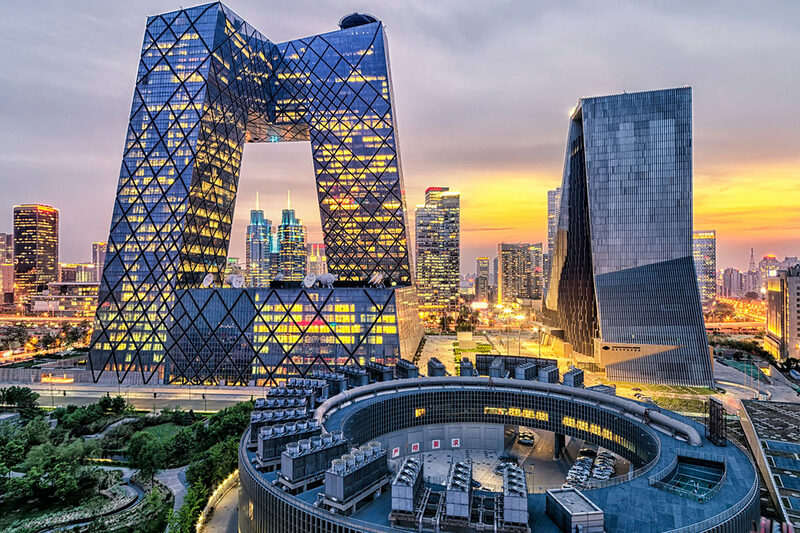 The number of these traditional areas is beginning to dwindle in favour of modern technology, and this excursion is a brilliant opportunity for discovering the bygone side to Beijing. Additional cost applies. Enjoy a performance of The Golden Mask Dynasty or Kong Fu Legend. Additional cost applies. Breakfast at the hotel before heading out for another jam-packed day of discovering Beijing’s best sites. Tiananmen Square is your destination this morning. This mammoth plaza is the second-largest public square in the world and draws its name from the Tiananmen (Gate of Heavenly Peace) located near the Forbidden City. The square is the location of the Monument to the People’s Heroes, the National Museum of China, and the Mausoleum of Mao Zedong. 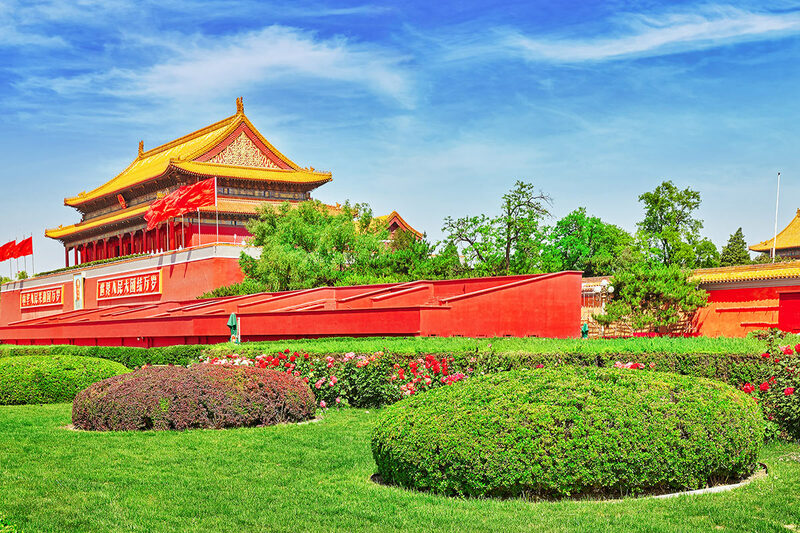 Cross into a realm once reserved for Emperors with a tour of the Forbidden City. Learn about the history of imperial China, the Ming and Qing dynasties, and the mystery surrounding this enigmatic site. Additional cost applies. Enjoy a feast of a local Beijing dish – Peking duck – for dinner tonight. It is served with all of the traditional accompaniments. Additional cost applies. Visit a Chinese Herbal Institute to learn about traditional healing arts. You will then board a bullet train for the journey to Suzhou. A local representative will meet you in Suzhou and assist with the hotel transfer. The remainder of the day is free time. 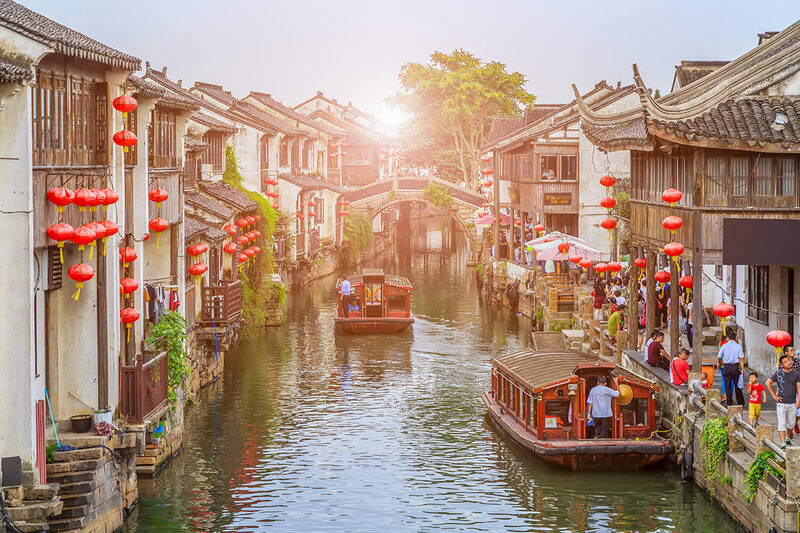 The city of Suzhou is often dubbed the ‘Venice of the East’ thanks to its myriad canals and waterways. The cityscape is also dotted with gorgeous bridges, pagodas and gorgeous gardens. 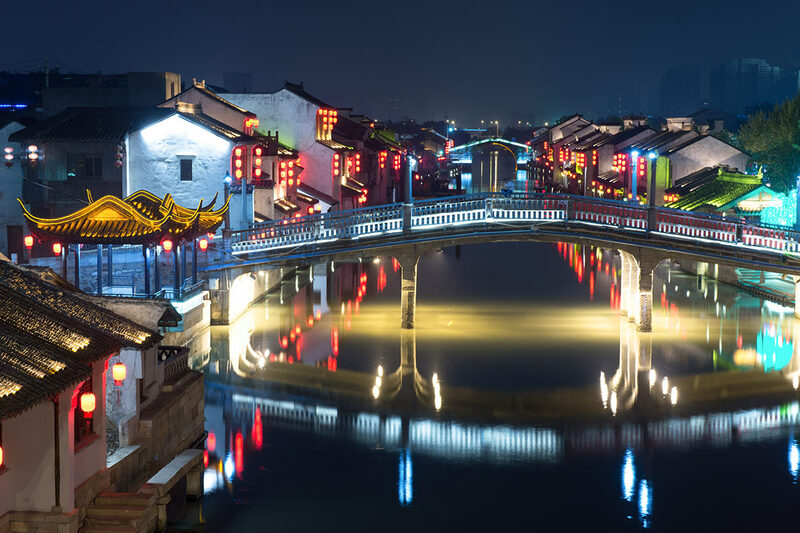 Suzhou itself has been designated a UNESCO World Heritage Site. 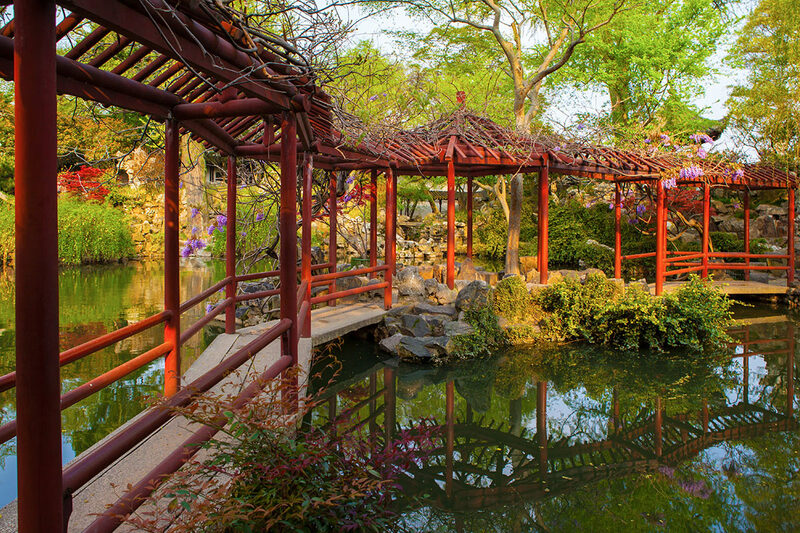 Visit the Lingering Garden after breakfast and admire its 500-year-old beauty, and then continue to the Suzhou Silk Factory to learn about this luxurious textile. The group travels to Wuxi in the later afternoon and there is a visit to Nanchang Street before check in at the hotel. Board a boat for a post-lunch cruise of Suzhou’s ancient Grand Canal. Additional cost applies. First on the agenda for today is a visit to the Brilliance of Lake Lihu. This is followed by a stop at a freshwater pearl farm. Then set out for Hangzhou, a city once described by Marco Polo as the most beautiful in the world. You arrive in the city in the afternoon and have the evening as leisure time. Take in this symbolic performance of Hangzhou. This production has been performed more than 2000 times and seen by more than 60 million people. Additional cost applies. Admire the West Lake Cultural Landscape this morning. The manmade West Lake is divided into five sections, each with numerous pagodas, gardens and temples. West Lake is regarded as one of the most beautiful lakes in China, and the West Lake Cultural Landscape is a UNESCO World Heritage Site. The group follows the time by the lake with a visit to a green tea plantation and you will have the opportunity to learn about the local Dragon Well Tea. The tour then drives to Shanghai. Experience the beauty of West Lake from the water with a scenic boat ride. Additional cost applies. Admire the Shanghai skyline as it lights up of an evening with a cruise along the city’s Huangpu River. Additional cost applies. There is a trip to the Bund after breakfast at the hotel. The Bund is one of Shanghai’s most prolific sites and is lined with European-influenced colonial architecture. You have the rest of the day as free time to explore Shanghai at your own pace. Discover more of Shanghai’s sites and history with this excursion, which takes travellers into the Lujiazui Financial and Trade zone. This area is where you’ll find Jinmao Tower, an 88-storey structure that is a standout feature of the city skyline. The next stop is Xintiandi, a pedestrian street and entertainment district in the middle of Shanghai Town. Additional cost applies. Watch a thrilling performance of Chinese acrobatics on your final night of the tour. The show is ERA The Intersection of Time. Additional cost applies. A transfer will take you to the airport where you will begin your return journey back to Australia. Our Travel Partner’s booking form must be completed including your passport details within one week to secure your requested travel date. $650 per person in addition to the twin share price. Including minimum 20kg of checked baggage per passenger (actual limit is subject to airline) and 5 kg carry-on. Some flights may depart a day before, involve up to 2 transits per leg, stopover or a substitute airline. These changes are beyond our control and will be confirmed upon booking. If you wish to extend your trip, a $380 per person breakaway charge plus any fare and tax difference will apply (subject to availability and applicable fare difference) payable at the time of completing your booking. Your stay behind request must be submitted when completing your booking form. Please note, no stay behind will be actioned until your final payment is made. If you selected to stay behind, airport transfers (if applicable) will not be provided.